Everyone is flocking to the United Tweets of America pageant! It's a tight race, but some say New Mexico's roadrunner has the inside track. Others think that Oklahoma's scissortail will cut through the competition. But what are the chances of Maryland's oriole hitting one out of the park, or Kentucky's cardinal leading the masses? 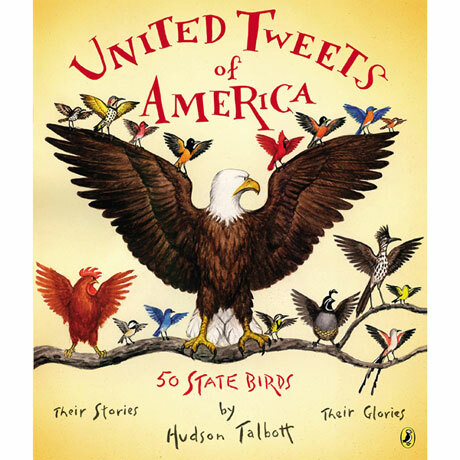 They may not all be birds of a feather, but readers 7 to 10 will squawk over this pun-filled book that "deliver bits of history, folklore, and geography about each state" (Booklist) as it visits each of the U.S.'s 50 state birds. Hudson Talbott's colored pencil and mixed-media illustrations add to the frenetic fun.